Adventure from sea to shining sea. From an early tailgate to an afternoon BBQ to evening fireworks, your Toyota truck is ready to celebrate the 4th with you. 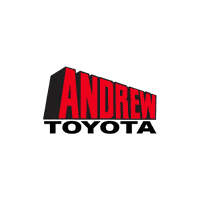 Whether you go with the Tacoma or the Tundra, you’ll have power and space to get where you’re going with everything you need to have a great time when you’re there. The Tacoma comes ready to find the best spot to watch the finale—even if it’s off the beaten path—with an engine built to give you more muscle, especially with the available 3.5-liter V6. Or bring the whole family with the Tundra. It’s the perfect marriage of power and luxury, with a roomy cabin where you can stretch out for an afternoon nap after a long day over the grill. And the Tundra is proudly made in America (assembled in Texas with U.S. and globally sourced parts), making it the perfect accessory for the holiday. 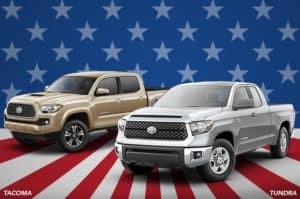 So, whether you go with red, white, blue or any other color truck, the Tundra and Tacoma are ready to tackle your Independence Day needs and everything after.